iRealHousewives | The 411 On American + International Real Housewives: Luann de Lesseps Announces New 2018/2019 ‘Countess And Friends’ Cabaret National Tour Dates! 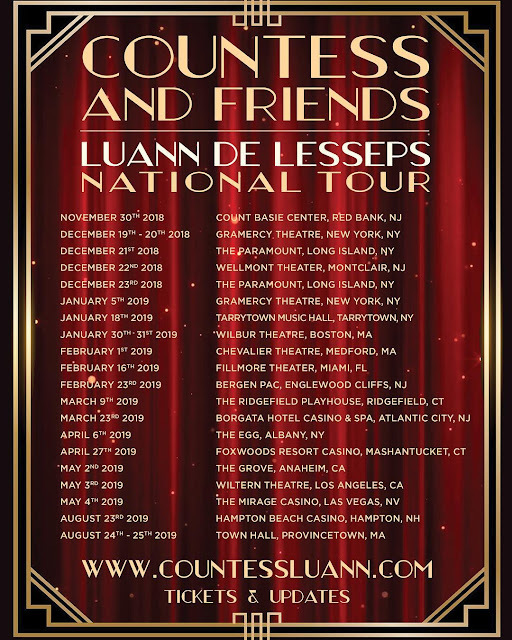 Luann de Lesseps Announces New 2018/2019 ‘Countess And Friends’ Cabaret National Tour Dates! 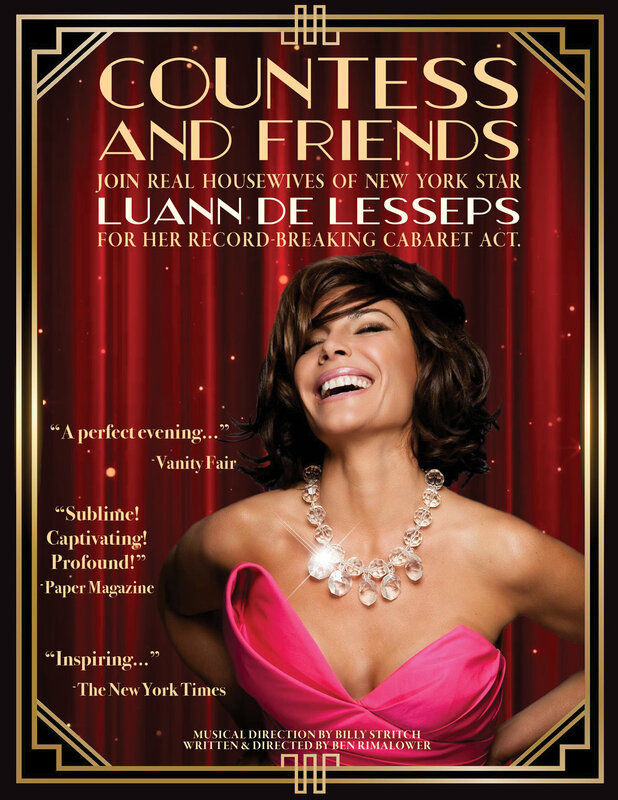 Luann de Lesseps is hitting the road! The Real Housewives of New York City star has announced new tour dates for her 2018/2019 national tour of her "Countess and Friends" cabaret show. The new tour dates kicks off on November 30, 2018 in New Jersey and will continue all the way till August 25, 2019 in Massachusetts. The "Money Can't Buy You Class" singer is heading on a twenty two city tour, which you can catch her glamorous performances in states like New York City, California, Las Vegas, New Hampshire, to name a few. See full list below!